As a first of its kind token that enables the trading of cryptocurrencies - the platform leverages the latest in blockchain technologies to trade in the most effective way. With full transparency as well as ISL secured and speedy technology users can buy and sell tokens without intermediaries - in short, you are in control of your trades. 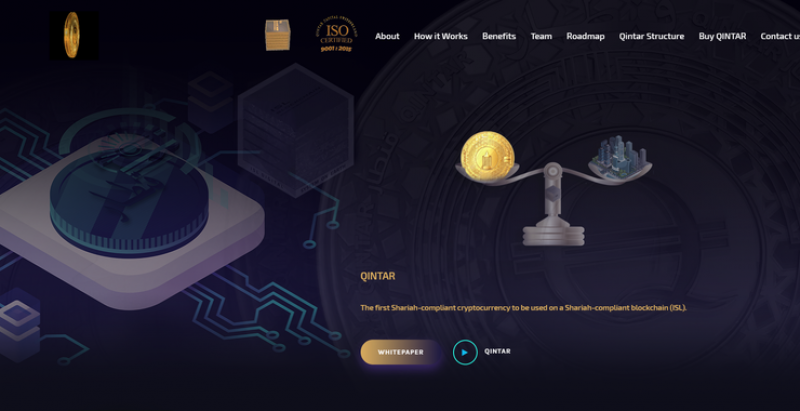 The ISL blockchain is a coming together of innovation and new ideas - combining the best of tech engineering practices with the latest in design strategy the decentralized ISL network links the user with the Qintar. Every transaction is digitally signed and timestamped - this allows the token holders to trace every transaction, safe in the knowledge that the ISL blockchain’s audit quality is working for them. Once initiated the transaction cannot be canceled or frozen - forgery is eliminated and allows traders to accept as many international transactions as they wish! Qintar believes in the ISL blockchain - as such we are partnering with companies in different sectors to make online transactions easier, faster, less costly and more convenient for the users. From institutional and private investors to individual traders and individuals, they have attracted great interest - the plans are solid, the platform is strong, and the market is embracing Qintar, as a huge investment will be implemented in the future. Qintar solves many of the problems associated with cryptocurrencies and blockchain solutions - what makes it different is that Qintar sales request is completely transparent and visible - the users can cancel their transactions at any time. It is only a matter of time before Qintar becomes the industry standard! Qintar Capital Switzerland is a financial advisory firm specializing in investments, accounting, auditing, regulatory bodies, Islamic banking, manufacturing, and other business areas. The company is headquartered in Geneva, the world's major financial center. The management team of Qintar Capital Switzerland possesses extensive regional and international experience. Further information is available on the company's website: www.qnr.ch.